Nutrition labels are daunting! Though the standards haven’t had major changes since 1990, it can still be overwhelming to decide between different food products when shopping. 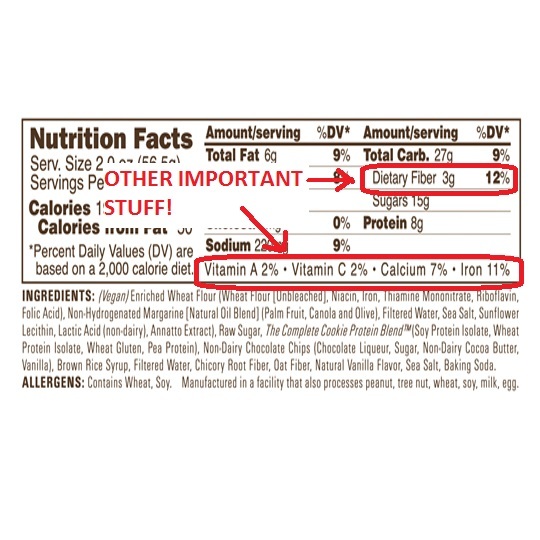 There are many aspects of the food label that are important to consider. But how do you weigh all the numbers? Really? In this post I will review the very basics of the nutrition facts panel that may help you better understand the choices you are making. As an example, let’s look at a very yummy vegan all-natural chocolate chip cookie! Consider how much you prefer to eat compared to what the serving size truly is (that which is listed on the label). For example, the delicious “cookie” I like to have for a snack has a serving size that is much smaller than what I typically eat. In this case, I have to take into account that all the other numbers listed in the label must be doubled since I usually end up eating the whole 4 oz cookie. The calories listed are per the serving indicated. Therefore, if I stick to my full cookie for a snack, I’d be consuming 380 calories in one sitting, with 100 calories coming from fat. Why is this important if I already know how many calories came from fat? There are different types of fats and they are processed in your body differently. Depending on health conditions or health/fitness goals you may want to take into account the types of fats in the food you are consuming and the amount. Generally speaking, you may not want this to be your predominant macronutrient. But you absolutely NEED fats in your diet to maintain your health, so don’t kick it to the curb completely! Both the AHA (American Heart Association) and the AND (Academy of Nutrition and Dietetics) recommend limiting cholesterol intake to decrease the risk of diseases such as heart disease, cancer and high blood pressure. Though “limit” seems vague, consider the guideline that 100% daily value of cholesterol is 300mg. That means that one egg yolk (about 185mg of cholesterol) is already over half the daily value. Looking at my “cookie”, it seems like a great choice considering that it doesn’t have any cholesterol! However, given that I generally eat the whole (vice half) the “cookie” the total fat comes out to 12g with 3g being saturated fat. There are definitely worse options – or denser cookies – out there, but do I really want to dedicate 18% of my daily value of fat toward this single cookie in one sitting? These can be tricky. The AND posits that most Americans eat more protein than they need, while the AHA emphasizes to make sure you consume enough protein among other nutrients. This guidance is confusing. At the end of the day, weighing one over the other depends on your lifestyle, habits and health/fitness goals. Whatever the case may be remember, much like fats, your body NEEDS carbs to function healthily. Therefore don’t cut them out from your diet either. Moreover, just because an organization presumes most Americans do one thing or another, doesn’t necessarily mean that this is exactly what you are doing or should be doing. In my “cookie” case, I am considering that I am an avid weightlifter that is doing moderate cardio. So, if I eat the whole thing, I’d be fueling my body with a decent 16g of protein, however I’d also be providing it with 54g of carbohydrates (30g of which would be sugars). Once again, I may think twice about this “cookie” given that it has a so much sugar (more than protein). It might be a good snack if I’m training for a marathon and have an 8 mile run to get through later in the afternoon. However, it might be a bit much on the carb and low on the protein side if I’ll be doing a heavy leg day at the gym followed by 25 minutes of cardio. Fiber is promoted by both the AND and the AHA. Foods high in fiber will help you feel fuller for longer and provide other healthful benefits that will be covered in future posts. My fabulous “cookie”, when consumed as a whole, would give me 6g of fiber. Not bad, for a cookie. But if I eat one large raw peach with skin, I’ll have the same amount of fiber and sugar as ½ the cookie, but with no fat, no cholesterol, more vitamin A, and more vitamin C. The protein is lower in the peach than the cookie, but that doesn’t mean I have to eat the peach alone. For example, I can add 1 cup of low fat cottage cheese to the peach which would give me a little more fat and cholesterol (2g and 9mg respectively – remember no fat isn’t necessarily a good thing). (The peach may not have a label, but the nutrition facts are available through many sources. The one I used is listed in the references below. So here’s another way to look at it: would I rather have just one cookie or would I rather have a full cup of cottage cheese with a whole large peach? Better yet, ask yourself: What am I providing my body by eating the cookie versus the cottage cheese with peach? The whole cookie would result in a much higher calorie content consisting of primarily sugars and a high amount of fat. The cup of cottage cheese with the peach would result in lower calories, less fat, less sugar, more calcium, vitamin A and vitamin C… and more food overall. 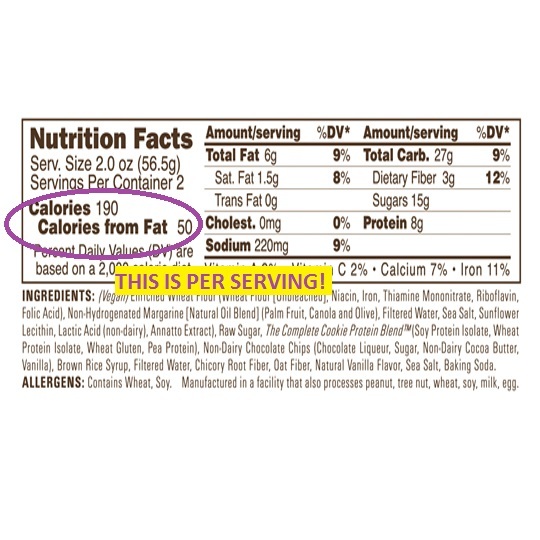 Establishing a solid understanding of what you are reading when looking at the label of a food product, will help you make food choices regardless of how the label appears. As you shop and read, you will absolutely notice the clever ways nutrition labels are configured. In any case, the basic information will be the same. In summary, read the label, consider how much you would really consume and what this food will provide your body. Fuel your mind and fuel your body! “CFR – Code of Federal Regulations Title 21.” CFR – Code of Federal Regulations Title 21. N.p., n.d. Web/ 07 June 2015. “U.S. Food and Drug Administration.” A Key to Choosing Healthful Foods: Using the Nutrition Facts on the Food Label. N.p., n.d. Web. 07 June 2015. 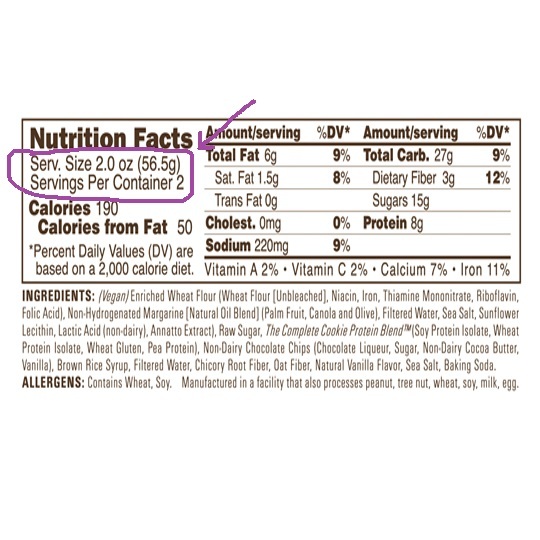 “The Basics of the Nutrition Facts Panel.” The Basics of the Nutrition Facts Panel. N.p., n.d. Web. 07 June 2015. 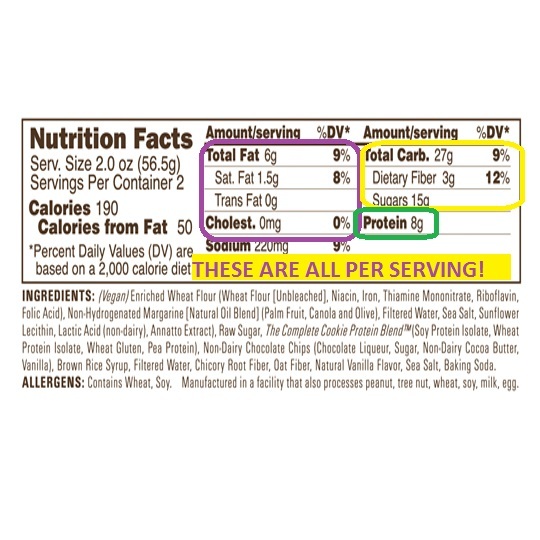 “Understanding Food Nutrition Labels.” Understanding Food Nutrition Labels. N.p., n.d. Web. 07 June 2015.